Founded in 1985 by Wayne Harbin, is a family owned company and builds homes across the Peninsula in a variety of price ranges and communities. Our solid reputation and the number of awards we have won for building quality has increased with each new home we build. Wayne Harbin Builder is a member of the Southern Living® Custom Builder Program, and was awarded the Southern Living Custom Builder of th Year in 2015. They also build EARTHCRAFT certified to ensure your home is energy efficient to save you money in the years to come. Our remodeling division “Home Enhancements” offers quality and competitive pricing. We invite you to experience a Harbin home or remodel your existing home today! 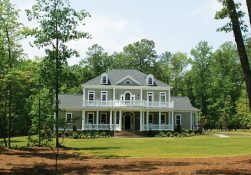 As the sole Southern Living® Custom Builder Program member on the Peninsula, Wayne Harbin Builder has grown in the ability to produce classic Southern designs and contemporary living arrangements. Each member is reviewed by the Southern Living® Custom Builder Program, for having an excellent reputation among the local building trade and consumers. Their homes must demonstrate superior quality and attention to detail. They must be financially sound with excellent credit based on reviews of their suppliers and financial institutions. Wayne Harbin Builder has been members of the program since 2000. The company builds at least one Southern Living® House Plan per year, uses selected program products and attends seminars to update staff. This program currently has 100 builders from the South and only one in each market, making us the only member on the Peninsula. For more information about Wayne Harbin Builder, Inc., visit http://www.harbinbuilder.com/.